Continuing on with my theme for the week of using neglected stamp sets on my shelf, I am using Summer Silhouettes today. 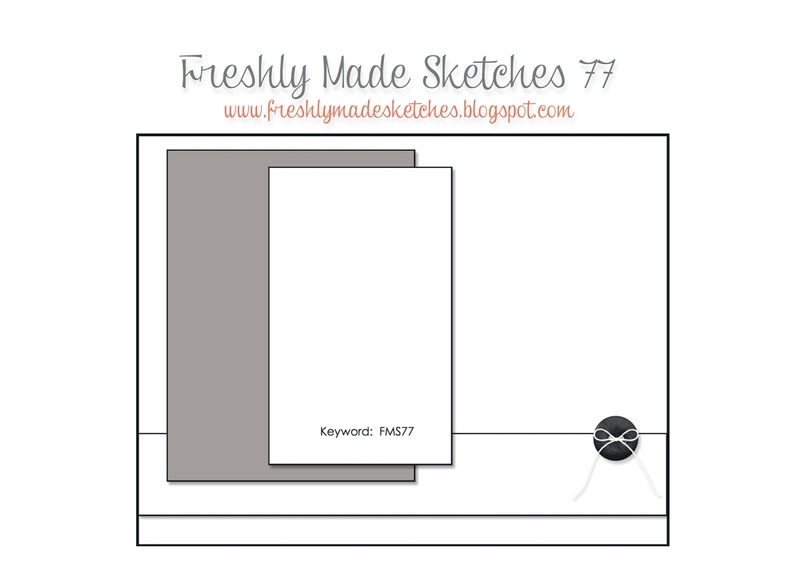 I also used the sketch at Freshly Made Sketches, by the very talented Jennifer Timko. 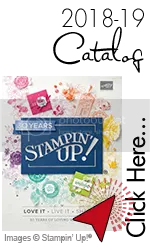 This stamp set was one of the first sets I ordered when the catalog came out. I love it and I used it a few times, and then it was sadly neglected. When I saw the sketch, I immediately knew I wanted to use the large Silver Basics Designer Buttons. I have used up almost all of the small ones, but have had a hard time incorporating the large ones into my projects. I think they fit well with this sketch. 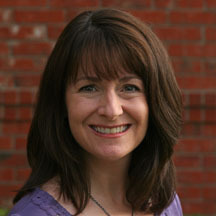 I hope you can make time to join us in this challenge at Freshly Made Sketches this week. Go check out what the other designers did with the sketch and then make a project of your own. This entry was posted in Freshly Made Sketches Challenge, Summer Silhouettes. Bookmark the permalink. What a beautiful mix of patterns and colors! I have this set – and yep it is totally neglected! This is lovely – time to try out those images! I just love this card. I NEED this set. Beautiful card, Amy! I was just scrolling through my Summer Silhouettes board on pinterest yesterday. I had to have this set right away, too. Used it a lot, then got too caught up in the “special” sets. Thanks for sharing your great creations! Such a springy card Amy! Just what we need around here!!! Love the added crocheted trim! Looks so sweet! Perfect colours! Bright, cheerful and happy! Love it! Summer Silhouettes would have to be one of my used sets! This is gorgeous – love the bright mix of colours you’ve used! Love this Amy! I was going to use that set this week for mine but your card was so lovely that I decided I had better try something else so that mine didn’t look like the ugly stepsister. I just love your colors! So beautiful Amy! 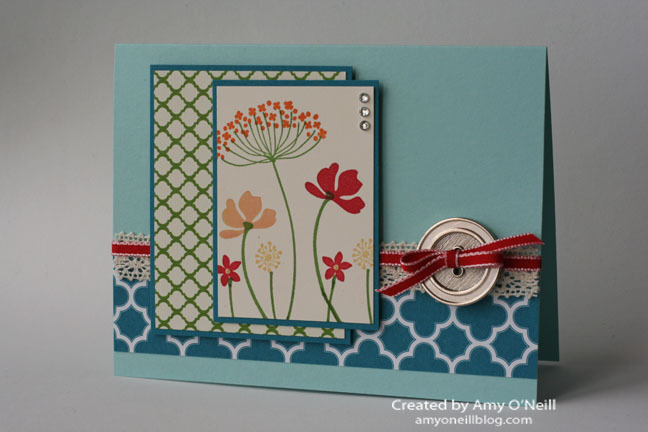 A perfect springtime card with those lovely flowers and pretty colors! This big silver button is perfect for the sketch as are the flowers! Love the “neglected stamp” series of cards! Reminds me…I have some that are neglected too. Fabulous use of the sketch this week! Wow, this is gorgeous! What an awesome take on the sketch! These colors are so pretty together and that button is perfect! Do I dare admit that I have this set and have yet to use it? I think I need to pull it out and get busy! Thanks for the inspiration!